Building nursery for poor families in Santo Domingo, Equador. A rainbow home for toddlers. 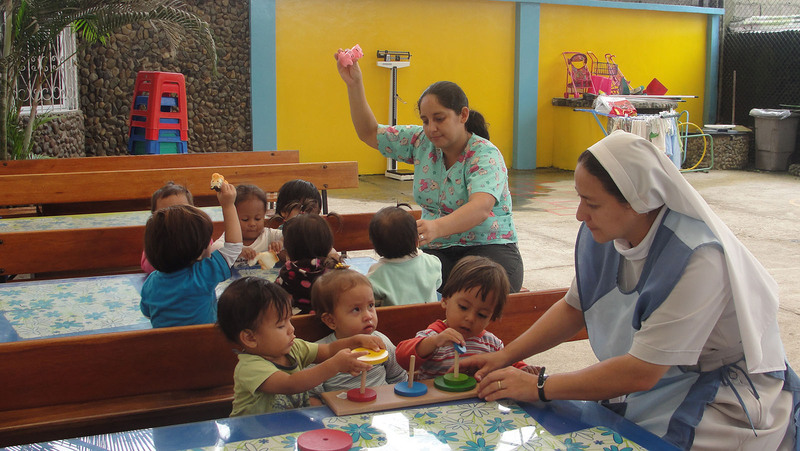 The nursery school of the Sisters Bernardines Missionaries Nunnery in Santo Domingo Diocese, Equador. The purpose of the nunnery school is running the child-care and educational activity for up to 3 year olds. The kids come from poor, pathological, illiterate, broken homes and need help. The nursery school takes care of children from Monday to Friday, from8 a.m. till 4 p.m. all year round. A yearly cost of living for children in the nursery is 3000 U.S. dollars.